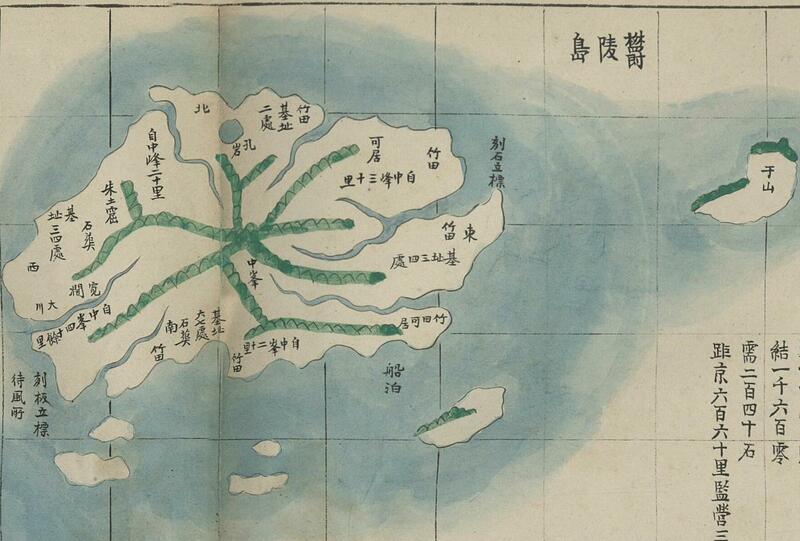 1947 - Sep. 2 - Sok Ju-myong(石宙明)'s　"History of Ulleungdo " says that Jukdo has been the eastern edge point of Joseon. 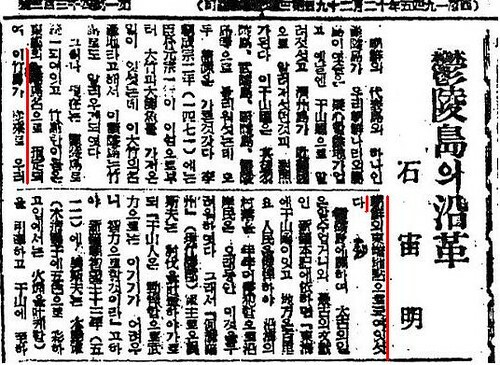 In Sep. 2nd article of Seoul Shinmun in 1947, Korean scientist Mr. Sok wrote a report about the history of Ulleungdo, where he just came back from. 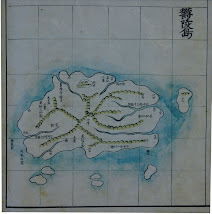 He and his colleagues went to Ulleungdo after Korean interim government heard that, on April 1947, some Japanese came to Takeshima and told the Korean poachers who were fishing on Takeshima without any permission nor fishing rights to stay away. On receiving the news, Korean interim government asked Korea Alpine Association to send research group to Ulleungdo furtively to collect the evidences to show Takeshima/Dokdo was their territory. Some Korean officials accompanied them. 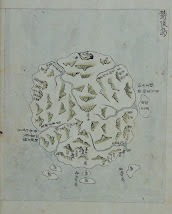 It was the time of the origin of Korea's illegal occupation of Takeshima/Dokdo which Korea had any historical documents nor maps to support their claim that the island was theirs since 512 A.D. As Mr.Sok clearly wrote in his report, the eastern limit of Korea/Joseon have been Ulleungdo, more precisely, the island of Jukdo(竹島, Japanese name 竹嶼), not today's Takeshima/Dokdo. 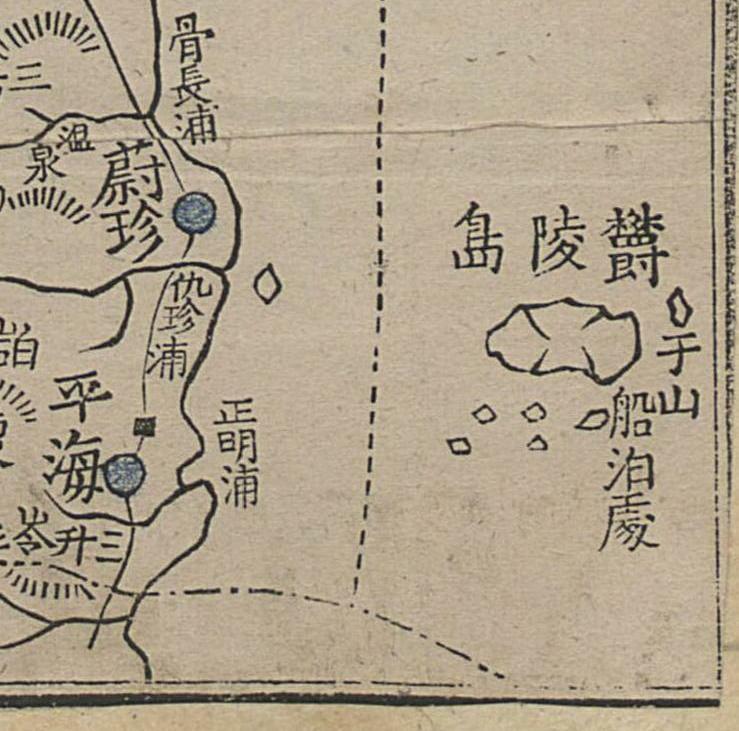 Traditionally/historically, Takeshima/Dokdo was outside of their territory apparently. 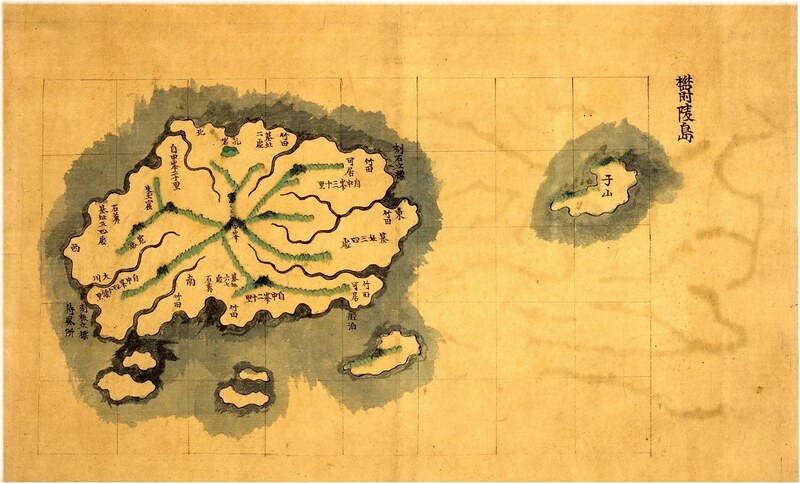 Indisputably, Ulleungdo(鬱陵島), which is one of Joseon's representative islands, had belong to our country Joseon, and it was known as Usando before, just as Jeju island was known as the country of Tamra(耽羅) in contrast. Usando had been called such as U-leung(羽陵)do, Mulleung(武陵)do, Ulleung(蔚陵)do or Ulleung(鬱陵)do afterwards. However, it seems that the etymologies are all the same. 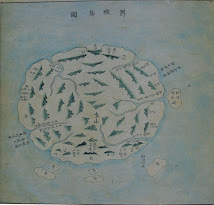 In 1471, the second year of King Seongjong, a retainer Park Wonjong(朴元宗) and his party once went to the island and had brought huge bamboos and abalones back, so the island of Ulleungdo got to be known as Jukdo(竹島) since the location was famous for production of the huge bamboos. 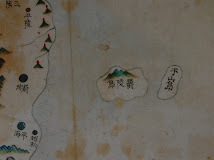 However, the name of the island was standardized as Ulleungdo now, and the name of Jukdo(竹島) was assigned to a adjacent island on East part, and this Jukdo had been the eastern edge point of our Joseon historically. As we know, this Jukdo(竹島) shares same Chinese caracter with Japanese Takeshima(竹島), but they are completely different islands. 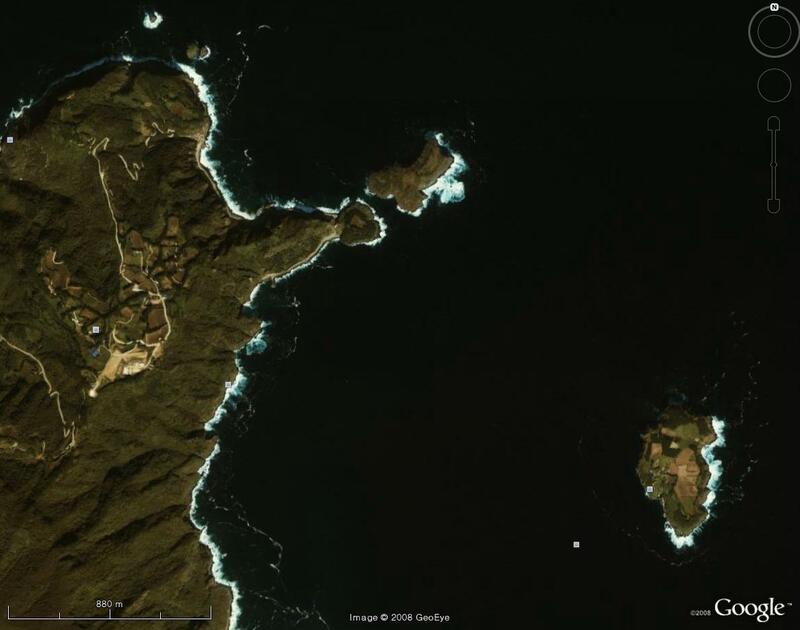 Jukdo, which locates 2-4 km east of Ulleungdo, which is definately the island Mr. Sok mentioned in the report, was the adjacent island of Ulleungdo, was the easternmost of Korea. On the other hand, Takeshima, which locates 92km southeast of Ulleungdo, was Japanese territory since they incorportated it into Shimane prefecture officially in 1905. 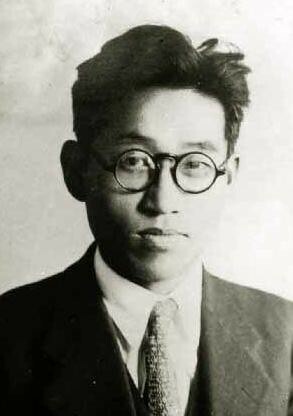 Sok Ju-myong(石宙明) was a Korean butterfly specialist and he was a director of zoology division of National Science Museum. He was born in Pyongyang in 1908 and later, went to Ibusuki Experimental Botanical Garden(鹿児島高等農林学校) in Japan. 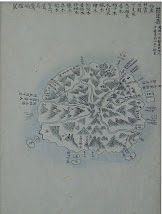 Although he accompanied the party as a member of the Korea Alpine Association in 1947 to collect the evidences to show Takeshima/Dokdo was Korea's territory, he missed the tour to Takeshima/Dokdo since he lost his way when he went to Saint Peak(聖人峯) and couldn't be on time. 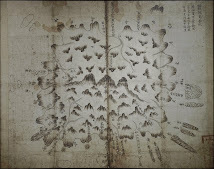 Maybe, that was the reason he honestly wrote the fact that Jukdo was the easternmost of Korea before he got to know Takeshima/Dokdo was not inside their territory, since he didn't know where today's Takeshima/Dokdo was in reality. In fact, he lost his integrity and distorted the historical fact of the Korea's eastern limit just a week after he wrote this report. 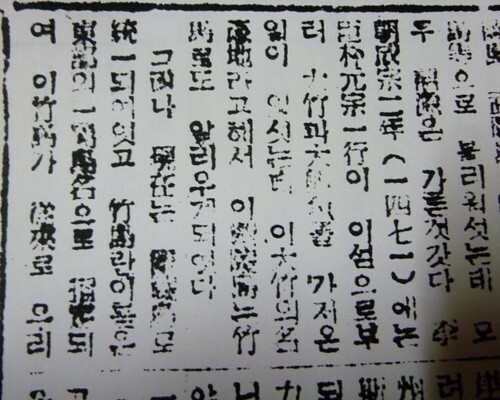 On 9th Sep. article, he wrote "Dokdo is within our territory", to my surprise. 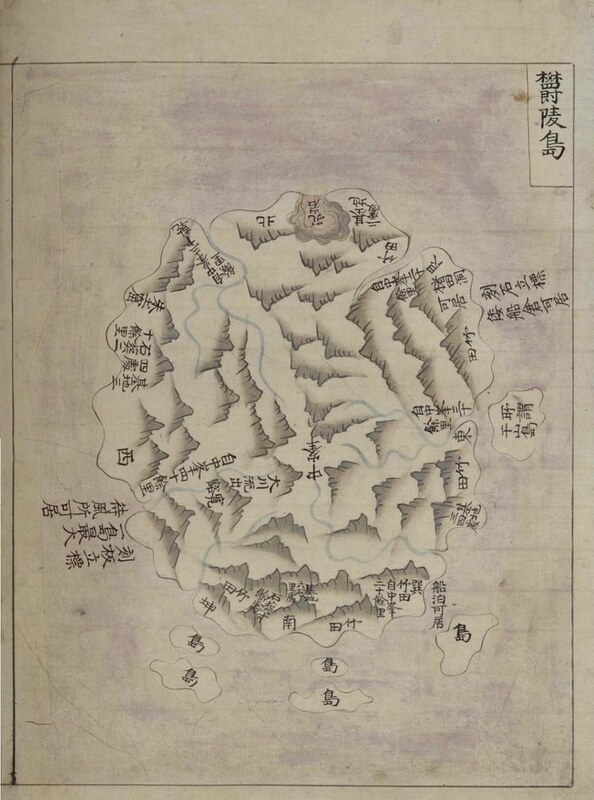 As we have seen so far, after 1947, Korean distorted the historical facts and build up their theory that Takeshima/Dokdo had been within their territory since 512 A.D., though there is absolutely no historical maps/documents to support their claim. 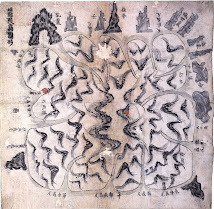 The two articles Mr. Sok wrote in 1497 illustrates the origin of this Korea's fabrication on Takeshima/Dokdo claim and prove how they had distorted the historical fact of their own in order to expansion their territory militarily. This post was written based on the excellent work of our commentator Chaamiey and Makoto. You can read the details in Japanese on chaamiey's site. 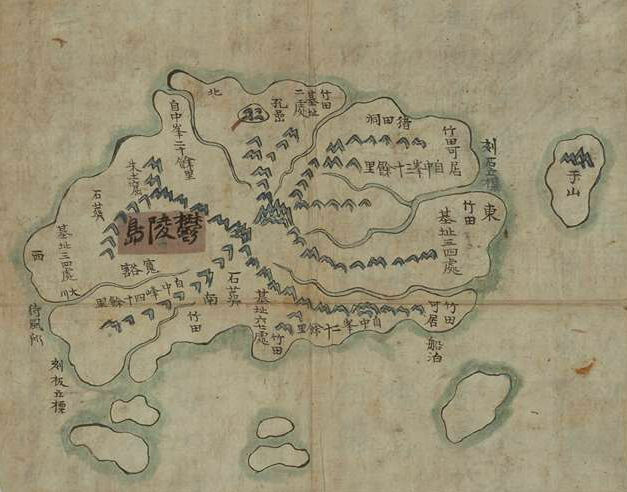 A special exhibition of "Dokdo" related antique maps and documents is being held at the Busan Exhibition and Convention Center (BEXCO) from December 21 to 26. The exhibition will also include photographs and models of the island and the surrounding area. In all, more than 150 items will be on display. 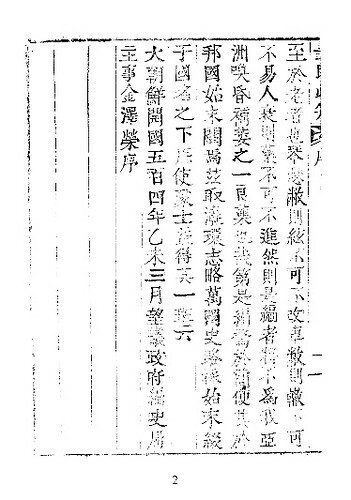 1895 - 紇法『士民必知』 (Knowledge Necessary for All) excluded Takeshima from the Country of Korea. 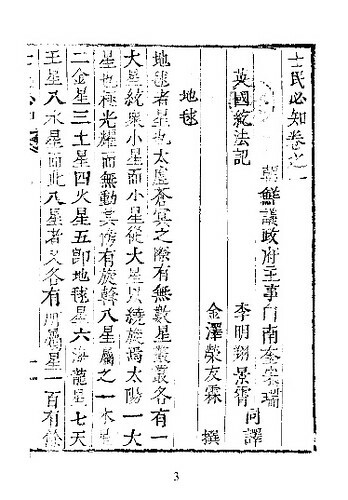 『士民必知』(1895) is the Chinese translation of Homer Hulbert's "Knowledge Necessary for All"(1889 or 1891-1895) by Baek Nam-gyu(白南奎) and Lee Myeong-sang(李明翔), and both of them are government officials of State Council of Joseon(議政府主事). It says "The easternmost of the Country of Korea is 131° E." , while Takeshima/Liancourt Rocks is at 131°52′ E. , 37°14′ N. in the section of 朝鮮(Korea). 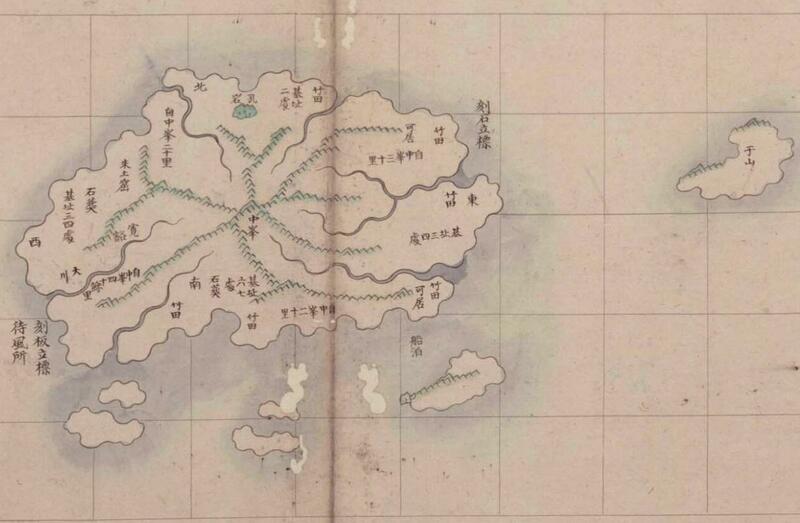 Moreover, it cleary states that the easternmost islands of Joseon is Ulleungdo. 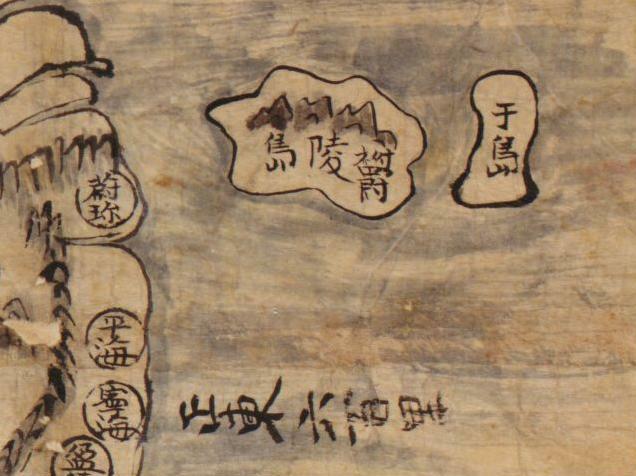 King Dangun established the country during the time of the reign of the Chinese Emperor Yao. 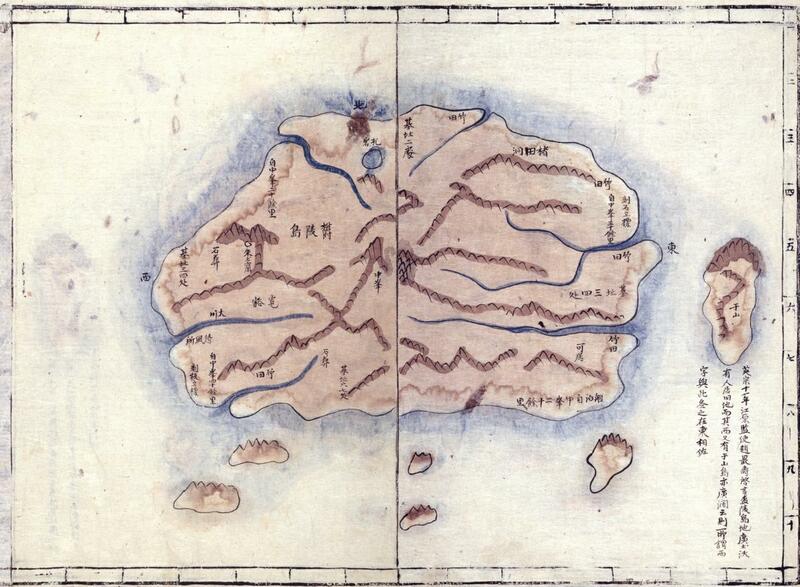 In its history, Gija sometimes splitted or merged the country into present. 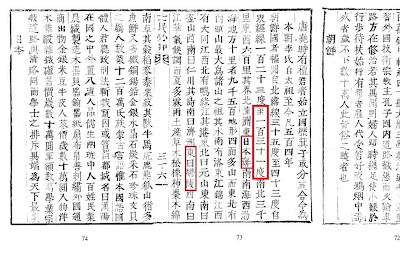 Current Dynasty is Lee and it is about 504 years from the first king, Taejong. The Country of Korea lies from 35° N. to 43° N., and from 123° E. to 131° E. From south to north, it's 3000-ris and from east to west, it's 600-ris. The boundry of the country is Manchuria on the north, the Sea of Japan on the east, South Sea on the south and Balhae on the west. The area of the country is 9500(ris) and its topography is full of mountains. There is Baekdu Mountain, which is the biggest and the origin of all the mountains. 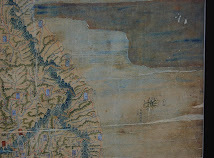 As for the rivers, there are Nakdong River and Guem River on the south, Taedong River on the west and Yalu River on the north-east. The ports are Wonsan on the north-east, Pusan on the south-east and Incheon on the south-west. 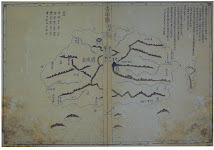 As for the islands, there is Jeju on the south and Ulleung on the east and Ganghwa on the south-west ..
Hulbert(紇法) wrote this geography textbook in Korean Hangul and "it became the first standard textbook in Korean in Korea used by all schools in Korea", while Joseon officials translated it into Chinese(!?) and published it. The book is about the world geography. Homer B. Hulbert first stepped on Korean soil in 1886 as a teacher for Royal English School(育英公院), which was the first government school in western style. The school introduced western fields of learning in its instruction such as English language, history, natural sciences, geography and mathematics. 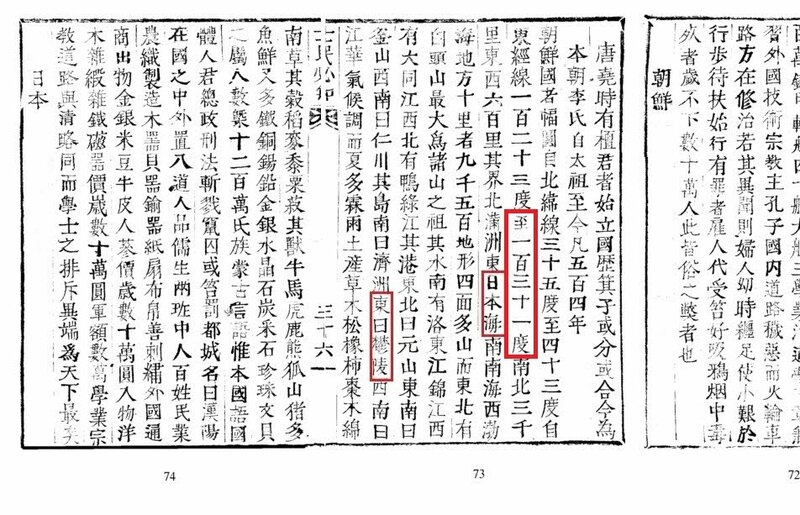 The last part of preface says that "大朝鮮開國五百四年乙未三月望議政府編史局主事金澤榮序" , meaning that Kim T'aek-yong, the historian and poet who worked for the division of history compilation of the State Council of Joseon, wrote this preface at the 504th year of the country of Great Joseon. 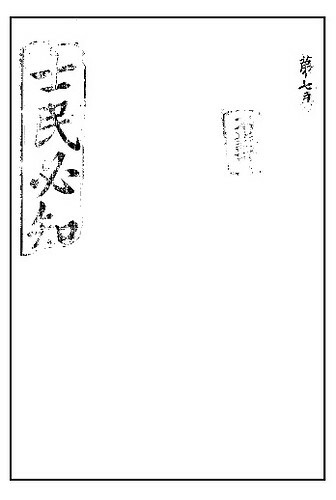 According to Choson Shinbo(朝鮮新報), Kim was known for an anti-Japan activist and deplored to Japan, defected to China in 1908, and participated in the anti-Japanese movement. A lot of patriotism works were left. 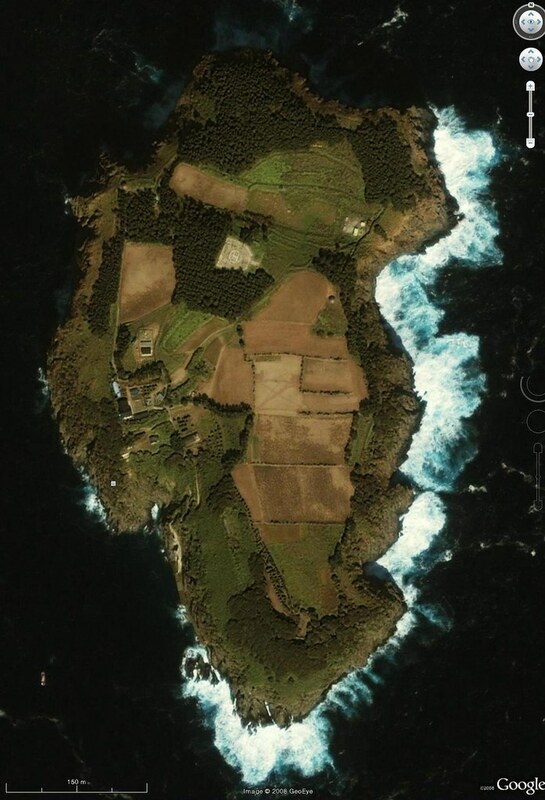 As we have studied on this site, it is apparent that westerners like Hulbert who even defied Japan's control over Korea, as much as then Korean government, considered that the eastern most of Korea was Ulleungdo, not today's Takeshima/Liancourt Rocks. 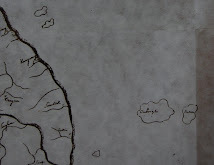 The information of the book was originally introduced by GTOMR. Thank you. 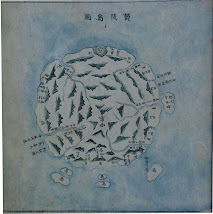 1900 - Oct. 22 - A petition by 李乾夏 "鬱陵島를鬱島로改稱하고島監을郡守로改正에關한請議書", which excluded Dokdo from Uldo County.